Tony Toscano is a man in the entertainment industry who works with interviewing celebrities on Talking Pictures TV, based out of Utah. Kale – First of all, I’d like to thank you for the privileged of these few words today. Kale: When did you first get into the entertainment business? Tony: When I was 16 I got a job at a local radio station playing “big band” music. 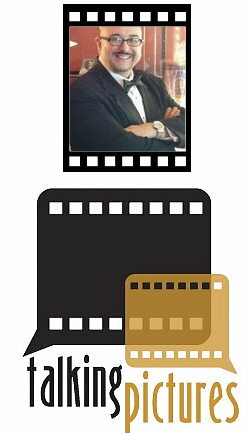 At the time I was also writing a movie review column for my local paper called “Talking Pictures.” So I created a “Talking Pictures” segment on my radio show where I’d interview celebrities and notables every week. Kale: Has it been a blast to work in the industry, or has it been troublesome? Tony: It’s a double-edged sword. For every “high” in this business there’s a “low.” Especially if you’re self-employed and can’t rely on a regular income. Sometimes it can get really rough. Kale: What’s the best memory you’ve had thus far with your career? Tony: Winning my first Emmy Award. It justified a lot of the sacrifices I made in my career, and also told me I was appreciated by my peers. There are a few moments I will always remember such as meeting and interviewing Jimmy Stewart, Johnny Carson and Frank Sinatra. (but not all in one day). Recently I was going to interview Elton John when he told me he actually watches my show in London and was a big fan. That was a good day. Kale: Who and what inspired you to get into the industry? Tony: “Twilight Zone” host Rod Serling was my boyhood idol. It was my privilege to interview him at his home in Southern California. After that interview he kept in touch with me until he passed away. Kale: Did you always want to be involved in the entertainment industry? Tony: Yes, as far back as I can remember, I always wanted to do what I’m doing now. I loved movies and loved chatting about them to my friends. I also loved and appreciated the art of television and always tried to find ways to get onto a set and watch the process. Kale: How does one become involved in aiding your show? Tony: Really there’s not much I need. I have an internship available but since our studio is in Utah, I am using local students for the most part. Kale: Is it easy or difficult to set up interviews? Tony: Again that’s a question that can go both ways. Setting up an interview can be difficult, but it also depends on the star involved as well as timing and other factors. Something that starts easy may develop complications later or even during the interview itself. Kale: Have all talented peoples that you’ve interviewed been easy to question? Tony: No. Some actors (I will NOT mention names) can be complete jerks. Some are outright rude and some are rude and don’t know it. A few have had trouble engaging in real conversations. The trick is to keep things fresh and inject a little humor here and there and keep your subject interested in you. Kale: How long do you spend thinking up questions before an interview? Tony: Not too long. I don’t fret over a lot of minor stuff. I read or re-read their bios or whatever info there is. And then I put it all down and begin to have a conversation. I take no notes or cards with me as it forces me to listen to what my guest is saying. I always try to imagine I am on a train going from one stop to another, and this interesting person is sitting in front of me. So I engage him or her in a friendly conversation to try to get to know them and what they do. I try to ask “revealing” questions about their work, about their history, why the chose this particular project and what’s next. Kale: What ways do you prepare to go in front of the camera? Tony: I prepare by not preparing. The truth is (and it’s taken me years to come to this) the best preparation is to be yourself and have confidence in what you do. Kale: Where do you see your business being at in another 10 years? Tony: T.V will most likely be very different in 10 years and the Internet will play a huge part in how a film is marketed and even distributed. Kale: How often does your career cause you to travel? Tony: I travel on an average of 48 weeks out of the 52 weeks in a year. I am on the road all the time. There are weekends where I start in Los Angeles for a day and end up in New York for a day then fly home. Don’t get me wrong, I love traveling and literally have seen the world doing what I do. Kale: Where is the show’s home base? Tony: The show is now (and for the last 10 years) based in Salt Lake City, Utah. Talking Pictures is currently seen in over 190 US markets and seen in a total of 118 Countries worldwide. Kale: What day did the show begin? Tony: Talking Pictures began as a newspaper column (and radio show segment) in 1970. Then it became a TV show that was aired first in September of 2000. Kale: Do you ever have any plans to retire? Tony: Not soon, since I haven’t interviewed everybody yet. Kale – Thanks so much for the interview, enjoy your day. Comments for Tony Toscano – An Exclusive Interview are now closed.